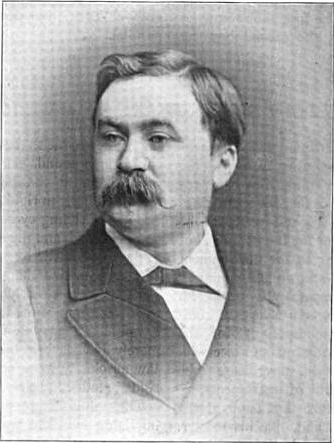 THIS eminent London vocal teacher, whose visit to us is the present sensation in the New York vocal world, declares that the art of singing reached its highest point at the middle and end of the last century, but since then, owing to the development of instrumental and orchestral music, it has been comparatively neglected. There is no longer a school of composers who write especially for the voice, although the human voice will, when properly used, never cease to be the most beautiful of instruments. The smiling expression during singing is an excellent way to bring the various muscles concerned in the vocal act into right adjustment for freedom of action. The eye is the mirror of the voice, and a person is singing rightly if the eye conveys the intended expression. To quote Mr. Shakespeare’s words, “Every emotion of the mind has an appropriate facial expression. As long as the face remains inanimate, so long will the sound of the voice be dull and monotonous; where—as vivacity of the features is invariably accompanied by life and brightness in the tone of the voice. Whenever on the dramatic stage the expression of ardent love is desired, but through absence of vocal skill the face becomes fixed, the result reaches the ear as vehemence and anger rather than affection." The eye is the mirror of the voice? This snippet of text reminds me of something read in an old manual, which was expressed as not having tension around the eyes. Mancini? Nathan? Or someone else? Suffice it to say, it's an old idea, one that can get lost in our "source" and "filter" view of vocal pedagogy. You see, it all goes back to this whole eye/ear matter, which isn't complicated at all. All you have to do is have a student experiment by tightening the muscles around the eyes while singing, and then not tighten them and note the difference. Hello! The song that is squinted through will sound quite different than the one that is not. But this has nothing to do with the ear, you say: it's just a matter of squeezing or not squeezing the throat! To be sure, one does feels the impact of tenseness or lack thereof within the throat, but the ardent critic would do well to reflect on nature and her response to various stimuli. What can be observed when a loud unexpected sound is made? The listener squints, recoils and contracts, while the face becomes fixed in an effort to protect the listening faculty: all things opposite to that which takes place in the executive singer, who's listening faculty is open and extended. Readers can find out more about this "listening posture" in Alfred A. Tomatis' The Ear and the Voice, Scarecrow Press, 2004.